May 9, 2018 – San Mateo, CA – Kyndi today announced that Benjamin Grosof has been named Chief Scientist of Artificial Intelligence. Grosof, an industry leader in knowledge representation, reasoning, and acquisition, will provide technical and strategic direction in invention, algorithms, architecture, problem-solving, and building up the overall R&D group. His focus will be on machine learning (ML) combined with natural language processing (NLP) as well as knowledge representation and reasoning (KRR). “We are excited to have Benjamin join our team of NLP and graph technology experts. His leadership and prior work will accelerate Kyndi’s Explainable AI™ analytic applications,” said Ryan Welsh, Founder and CEO of Kyndi. Before joining Kyndi, Grosof was a Research Fellow and Principal Director of Artificial Intelligence at Accenture, where he launched an initiative to leverage AI for business process automation across the company’s $8B+ Operations group. Before that, he was founding CTO of the AI reasoning startup Coherent Knowledge, led a research program in advanced AI and rule-based semantic technologies for Paul Allen at Vulcan Inc.’s Project Halo, was an IT professor at MIT Sloan, and was a senior software scientist at IBM Research. Grosof holds a Bachelor’s degree in Applied Mathematics from Harvard University and a PhD in Computer Science (Artificial Intelligence) from Stanford University. His background also includes 5 major industry software releases, 3 patents, and over 60 refereed publications. Kyndi is an artificial intelligence company that’s building the first Explainable AI™ platform for government, financial services, and healthcare. We transform business processes by offering auditable AI systems. Our product exists because organizations cannot use “black box” machine learning when they are required to explain the reason for any decision. 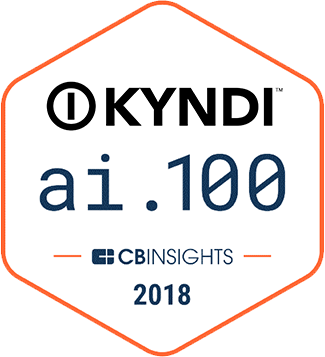 Kyndi was named to the CB Insights AI 100 for 2018, which includes the most promising 100 private companies working on groundbreaking artificial intelligence technology. Based in Silicon Valley, Kyndi is backed by leading venture investors. For more information, visit www.kyndi.com.